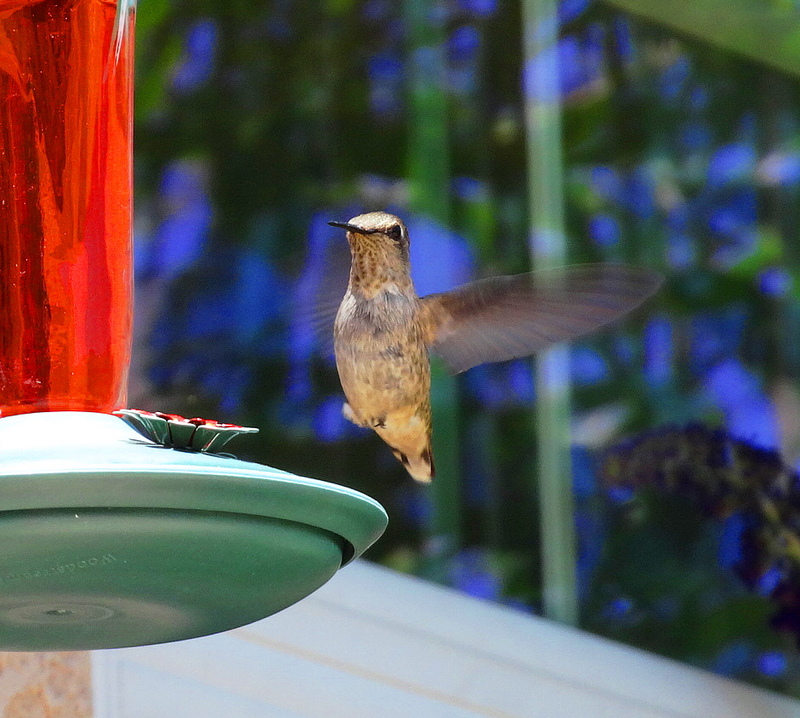 I thought you might be in the mood for hummingbirds so I snapped a few today! My husband likes the shots of them still, but I prefer snagging them in flight. There’s a new one around with a beautiful blue throat, but he keeps getting dive bombed by the locals so I haven’t got a good snap of him yet. I swear he hovers around me for protection. When they dive bomb him, they are moving at incredible speed, when they make impact you could hear an audible woof sound and he makes a squeak. I feel sorry for the blue throated guy. The female has no colors to flash, but I still think she is pretty. The Snapdragons are blooming and we get more each year. They self sow. 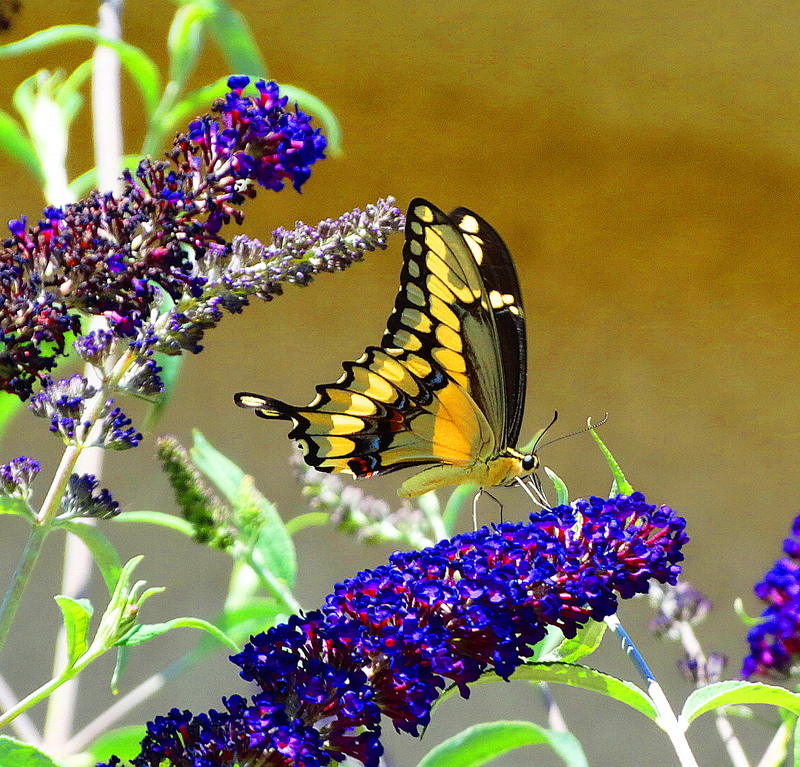 I included one tiger swallowtail shot because it shows the swallowtail and the gem colored patches on the wings. Aren’t they beautiful! Cheers to you from The Holler! ← Busy Day at The Holler! I love the humming birds and the snap dragon.The birds and the flowers are so bright and impressive.Do you have them in your garden. Ah, Cindy, yet again you grace our eyes with beautiful renditions of the natural beauty of the world. And I do believe I need to get out more. I think it’s about time I invest in another camera, myself. Epic. 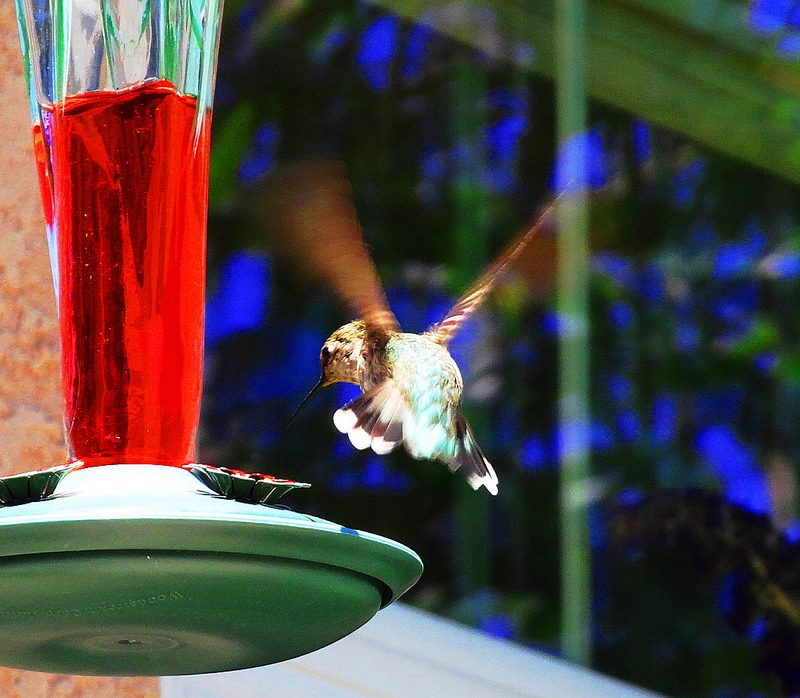 Humming birds are so much fun to watch. We don’t have a feeder but they still come around. Lately we have had birds flying into our windows. I mean with a real force and I am sure they are injured and fly off to die. Perhaps it is the way the sunlight is on the window and maybe the birds see a reflection and think it is clear flying. But it is sad to hear that big thump. But no broken windows. Have any of you set eyes on Cindy Knoke’s photography? I mean, seriously? LOOK, people! It’s…well, in a word, inspiring. Thank you Lisa. Yes I liked snapdragons since I was little because you can snap their flower jaws. I always have them growing. Sahm is a seriously talented person. On top of all of his existing gifts, I just found out he is an awesome photographer as well. Sahm rocks, so please thank him for me. 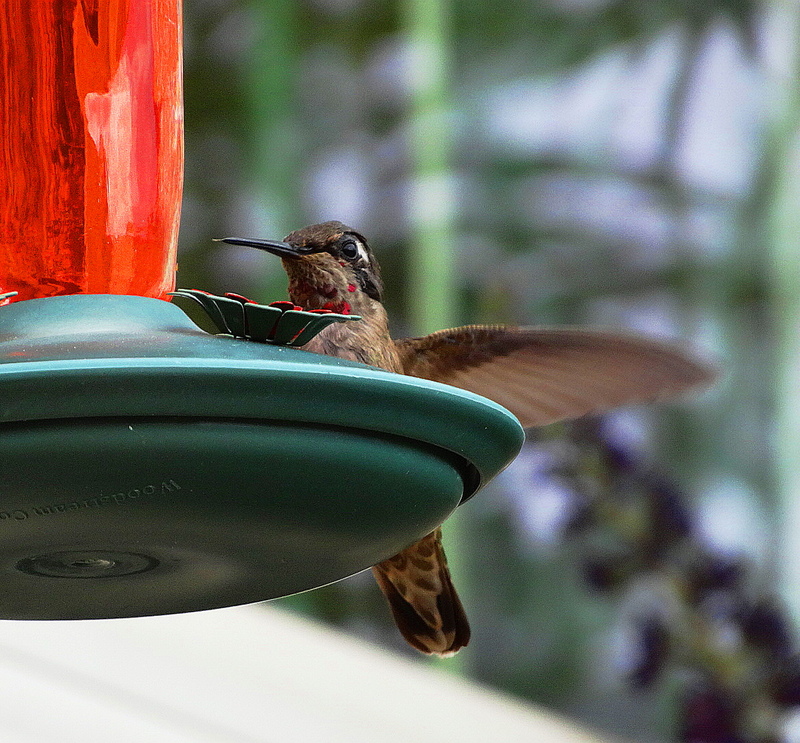 Heading over to your blog now to check it out…..
I’m in the mood for the hummingbirds any time. Thank you for the beautiful pics which prove such birds are real for me. They just don’t exist here. Yes the green one is an Anna and they are here year round. The feeder needs to be changed when empty and kept very clean, but that is all. The hummingbirds use both it and the flowers. The myth that if the feeder is empty, the birds will die is a myth. But, we still keep it full year round. But we have orchards all around us and tons of flowers so the birds partake of both. I like the feeder because it is right at my computer window and they buzz in all the time…. Oh, they are so pretty!!! I am your newest major fan. I love your paintings. Wonderful. Oh, and thank you! They are highly territorial and try to drive out all newcomers. Thank you Heather for your kind words. They are always fighting in the air….. I didn’t know that about hummingbirds…I don’t see them often around my house, generally only one, if I’m luck to see them at all, so I’ve never seen this kind of behavior. Stunning hummingbird shots, and love the snapdragon pics!! Thanks, Cindy. Muchas gracias Kris, es muy amable! 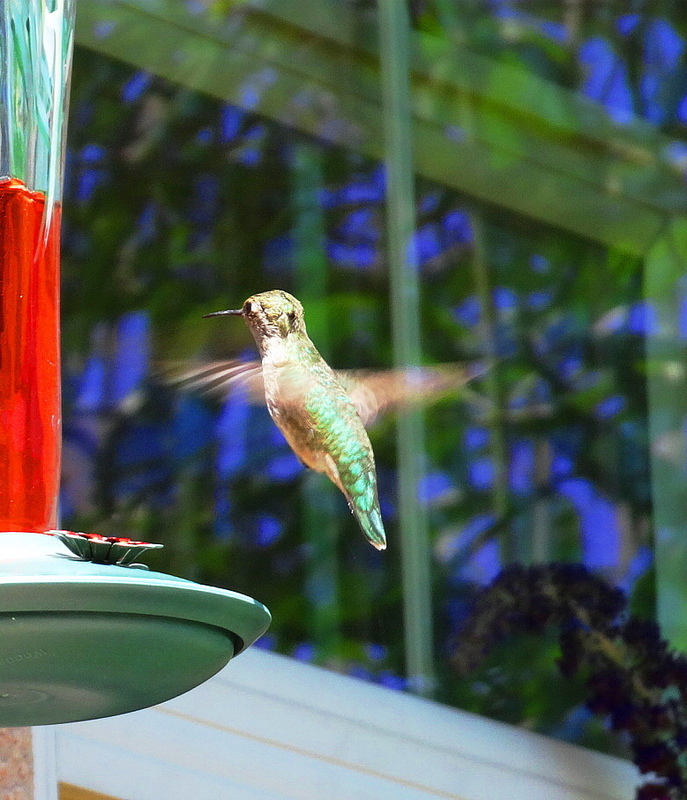 I could sit and watch those hummers all day long! You’ve really caught some great shots Cindy, gorgeous. I’m sure those snaps smell fab too, I love snaps and WISH they’d reseed here. You’ve done so well to capture the hummingbird. 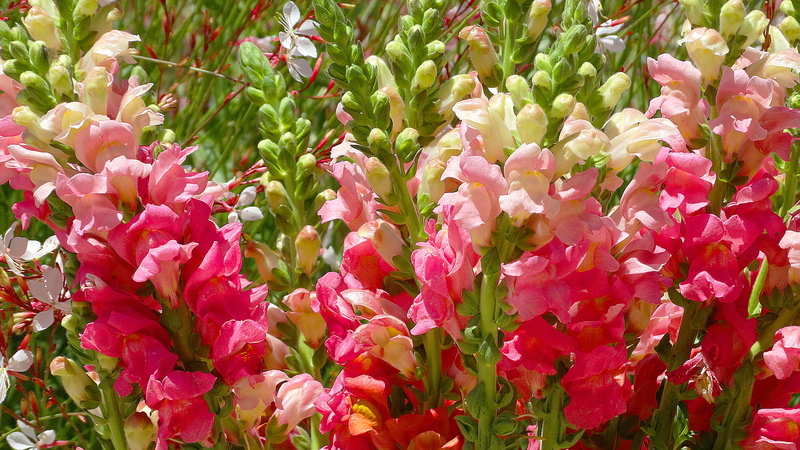 And the snapdragons are very beautiful. Great photos and a treat for me as we don’t have humming birds here. Love the butterfly too. The Swallowtails are the Lepidopteron branch of my family. Not as pretty or good looking of course. Country cousins I suppose. I bet you got a tech ribbed over the last name growing up, but I greatly admire all your country cousins. Lucky you! You’d think I’d have got ribbed, but I didn’t, funnily. I do now. Thanks for the pictures. They are beautiful. What an amazing talent. Thank you Clowie. You Great Pyrenees are such smart quadrapeds. Tell your biped thank you too for me! Protect the lil fella, Cindy! and don’t I know it–I have 2 feeders, because this one guy is SURE the first one is solely for him. Those snap dragon shots are so luscious, I can practically smell them! A fresh as a spring post! That is so wonderful that you anticpated this. My next post is about my actions to protect the bullied bird. We are in synch and thank you! I’m getting withdrawals from yours right now so I shall be on my way over to soak up the views in a few min’s! 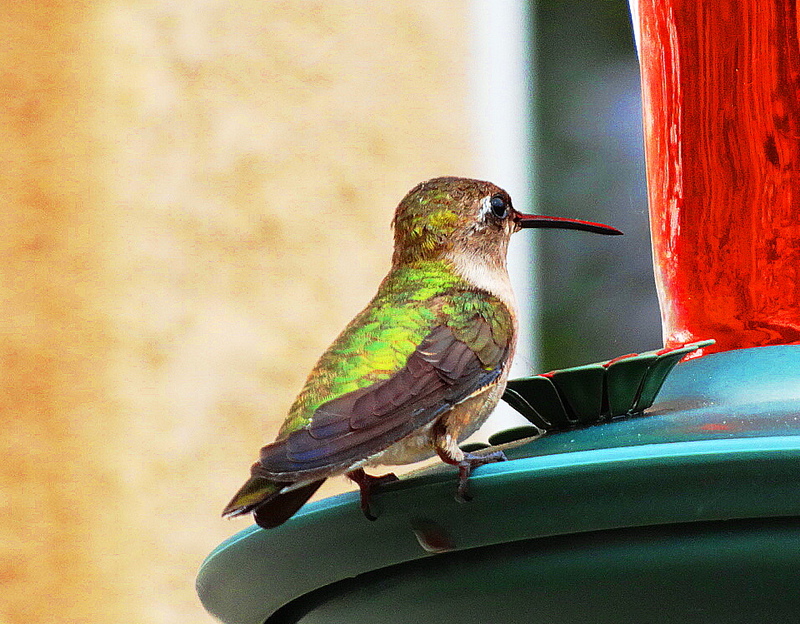 The hummingbird shots are absolutely beautiful, but it’s sad about the poor little sweetiepie that gets dive-bombed! 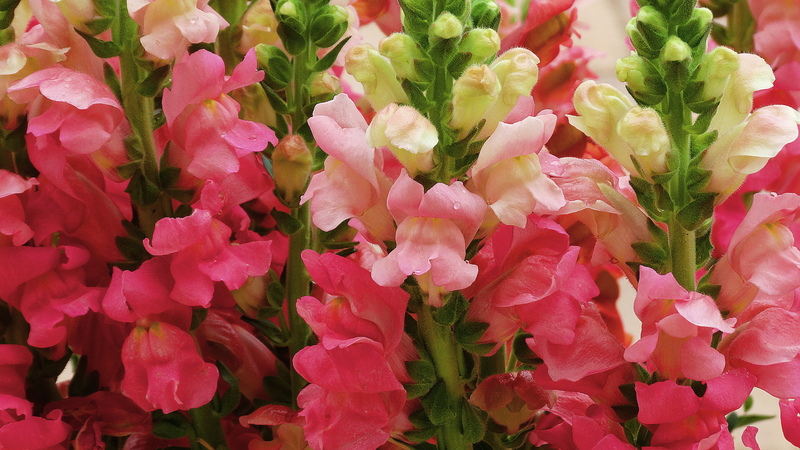 Beautiful snapdragons (I love pink! ), and you took a wonderful photo of that amazing butterfly — looks like summer is gloriously headed to the Holler! So nice, thank you Eunice! Vielen Dank für Ihre sehr freundlichen Worte und Gedanken. Ich schätze sie sehr.